Burglars love nothing more than an unsecured window. Professional thieves don’t choose their marks spontaneously—they case whole neighborhoods before selecting homes that seem most vulnerable. And because more than 65% of all burglaries are residential, it’s imperative that you increase the security of your home windows, since they offer the easiest access. Home window safety starts by selecting the right window styles and glazing types and even investing in advanced security features that will have burglars running for the hills. It ends with regular maintenance and upkeep that will keep your home safer for years to come. Casement window: Not all windows offer the same level of home window security. Casement windows, (pictured above), can only be opened using a hand-operated crank from the interior of your home. This makes them harder to break into. 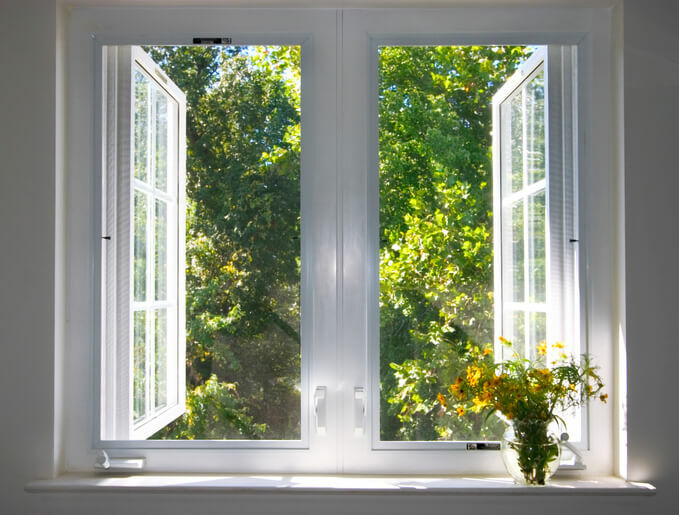 It’s important to note, however, that for metal casement windows, hardware (cranks and hinges) can become rusty and impede the window’s security if not properly maintained.Proper installation is vital here—if the window doesn’t open and close smoothly, the security of the sash could be compromised. If that’s the case with your windows, you can bulk up their security by installing a sliding chain lock across the opening, although replacing the window frame altogether is a safer option. Casement windows run an average between $270 and $750 per double crank out hinged window. Casement windows aren’t ideal for every situation. Homes that abut other buildings or where exterior foliage is dense may not make the best candidates for these styles because there is not enough clearance space for the windows to open properly. In this case, the next safest option is a sliding window. Sliding window: This is the next safest option after a casement window. It works by sliding open horizontally, which makes it difficult to operate from the outdoors, and its cam action lock renders the window immobile, so a burglar won’t be able to slide it open. For extra protection, sliding windows can be combined with horizontal security bars.Depending on size and material used, the average cost of a sliding window runs between $320 and $1300. In some cases, sliding windows have been lifted off the tracks by especially enterprising thieves, even while locked. 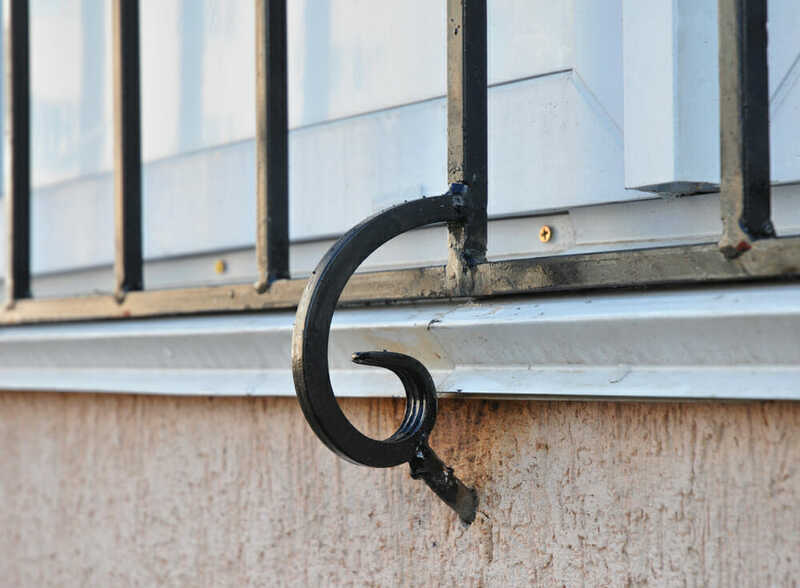 You can prevent this from happening in your home by drilling sheet metal screws into the upper portion of the metal track—just make sure the screws don’t obstruct the window’s path when you attempt to open it. Double hung windows and single hung windows and other styles are less protected, so they’re not the most secure windows out there. They should always be secured with an appropriate window lock, which we’ll cover in the sections below. 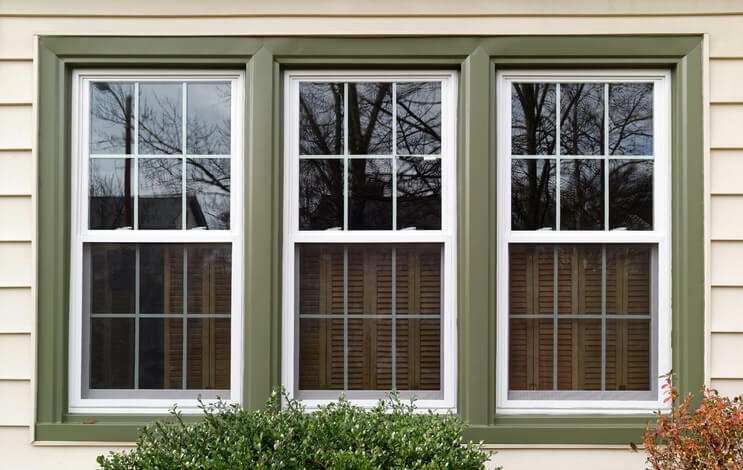 Most operable windows require a locking system to make sure burglars can’t just pry open the sash and climb right in, but the design of the window will determine what type of lock that is best. Keyed locks: The most secure of window locking systems, keyed locks are ideal for double or single hung windows and offer extra protection, since the lock can only be opened by someone who holds the key. To make your life at home easier, have all the locks keyed to the same key and keep multiple copies somewhere safe, with a spare placed in a lockbox outside your home or entrusted to a dependable neighbor. Cam-action locks: Cam-type window locks are ideal for sliding windows (if they’re not already included), and they latch into place to keep the window from sliding on its tracks. Conversely, they can be used to hold a sliding window open as well, so if that sounds appealing, install a lock on both sides of the track. Swivel-action locks: Used mostly for double hung windows, swivel-action locks, also called keepers, have a latch that can be swiveled from left to right to move a locking snib in and out of place. Lag screws: Lags screwed into place above the lower sash keep single hung windows locked into place, and they can be placed below the open window to keep it ajar. However, these kinds of locks can potentially be knocked out of place with a hard shove, so they don’t offer as much security as other kinds of locks. Window latches: Latches are the most common kind of lock. A latch is screwed to one window and hooks into the second sash when in the locked position. Of course, quality locks and secure windows will only protect you from criminals hoping to pry open your windows. If a thief is willing to break a window in order to enter your home, no level of sophistication in your locks will make much of a difference. 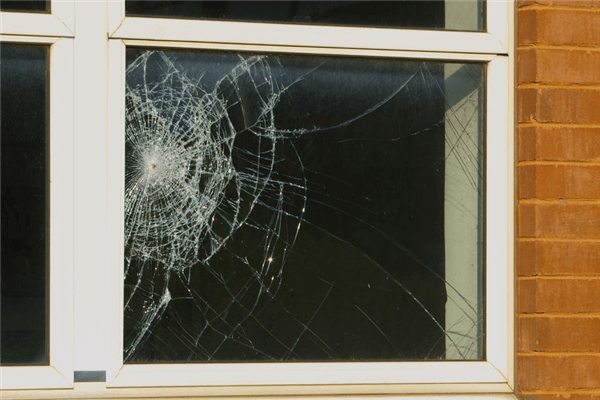 However, reinforced glazing—also known as impact-resistant glass, laminated glass, or safety glazing—can protect your home by making break-ins more difficult. This glass is made several layers thick and topped with a laminate that protects it from impact. When hit from the exterior, it shatters but remains intact, so that entry through the window is difficult, if not impossible. However, before you select a glazing system, you should check with your local permitting office, since local building codes—particularly in hurricane-prone areas—often dictates the type of windows homeowners can use. Laminated windows will also cost more to purchase and install, so they’re not ideal for every household. A cheaper, retrofitted solution is to install safety or security film over the existing windows. Window security films designed for safety bond with the existing glass to hold it in place in the event of an impact. Higher-end window films will have better opacity, and can even be designed to manage solar heat gain, as well. Window film costs between for just $7 to $9 per square foot and should ideally be installed by a professional dealer who can ensure that it is properly fitted to the window. No one wants to put their home behind bars, but if you’re really worried about your safety, security bars for windows are a boon to home security. Window bars, in particular, are a great addition for sliding windows and sliding glass doors, because they make it more difficult to slide the window open on the tracks. Additionally, security grilles and scissored gates are great for basement windows, which are commonly overlooked by homeowners, and are unfortunately a frequent entry point for criminals. Safety grilles can be mortared to the home’s foundation to prevent any entry—however they also can’t be used as an emergency exit by your family members at that point. Another option is to install a scissored gate over the window. These attach from the inside of the home so they can be pulled back in the event of an emergency. For extra security, they can be locked with a padlock and key—but make sure to keep the key in a spot that’s easy to access in case you need to make an emergency escape. As you can see, there are many ways to protect your windows and reduce the likelihood of a break into your home. Additional measures, such as outdoor lighting installed around your home’s exterior, can also work to keep your family and valuables safer. Best of all, they’ll give you priceless peace of mind. Find out more about windows types and cost breakdown with our windows cost calculator.